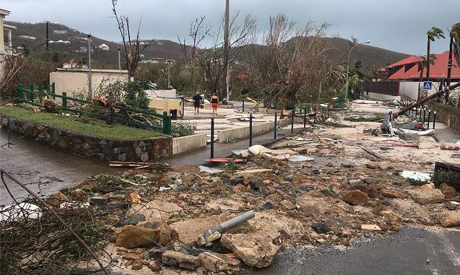 The French part of St Martin -- a pristine resort known for its vibrant nightlife -- suffered the storm's full fury: at least six people died and 95 percent of dwellings were decimated, officials said. Guadeloupe prefect Eric Maire called the situation in St Martin "dramatic," saying the island -- which is divided between the Netherlands and France -- was without drinking water or electricity, and warning the death toll was almost certain to rise. "There's no water, no milk, there are very few cans -- and no cat food."